The 300 hour yoga teacher training in Dharamsala that we offer is an advanced teaching program of yoga. The 300 hour yoga teacher training courses in Dharamsala is more appropriate for intermediate and advanced yogis as the program delves into the in-depth study of anatomy and asanas. 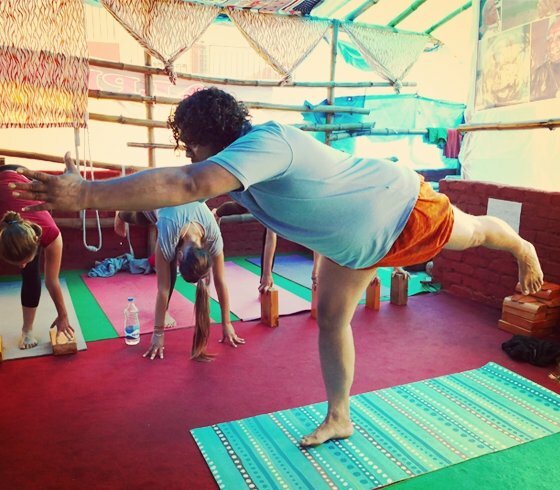 We offer the course way in which interested individuals can choose to opt for 200 hour yoga teacher training in Dharamsala and then go through 300 hour yoga teacher training in Dharamsala, or they can directly go for 300 hour yoga course in Dharamsala in the Institute of Rishikesh Yog Mandir. The 300 hour yoga ttc in Dharamsala is for the yogis who want to have an advance path for their skills of teaching yoga and hone the basic concepts of yoga. The yoga trainees in these programs will be completely prepared for teaching techniques and principles that are very advanced and detailed. We have trainers and teachers of yoga who are highly qualified and experienced in yoga. The program is designed for the individuals who are desirous of availing professional opportunities that are associated with teaching yoga. The teachers who teach here are completely certified at all the course levels including the beginners, advanced and intermediate levels. Being one of the renowned institutions of yoga, the certificates that we provide are in great demand in regards to the health and fitness industry. Individuals who are desirous of making most of the professional opportunities that are related to yoga are very much interested in our programs. Being the renowned yoga center in Dharamsala, we have designed our yoga training programs by considering the needs and requirements of the individuals and the yogic philosophy. We make our students aware of the ancient practices of Veda along with the philosophy and literature which have close relevance to the practice of yoga. Diving deep into the yoga asanas that our trained and experienced teachers provide will create a personal revolution in the lives of the individuals. During the entire 300 hour yoga teacher training India program that we offer, our trainers break down every yoga asana by providing insights into the postures and providing the knowledge regarding advanced postures. This provides complete and skills for deepening the yoga practice and assist other individuals to practice the same. This best yoga teacher training in Dharamsala program includes a very high-level yoga training which further encompasses the ethics of yoga training. Our teachers also teach the interested individuals for having in-depth knowledge regarding every aspect of the ancient practice by providing them with all the facilities and equipment while training that will help them in getting the certification. Our trainers get into the significance of the maintain and creating a strong relationship between teacher and the students and also focus on how to build upon these associations. We provide completely vegetarian food. People can also opt for began and satvik food according to their preferences.